Antique South Persian piled mafrash panel by the Afshar tribe, a superb panel with outstanding colour. www.knightsantiques.co.uk Size: 4ft 4in x 1ft 4in (131 x 41cm) face size. Late 19th century. This panel is probably the side panel from a bedding or storage bag. 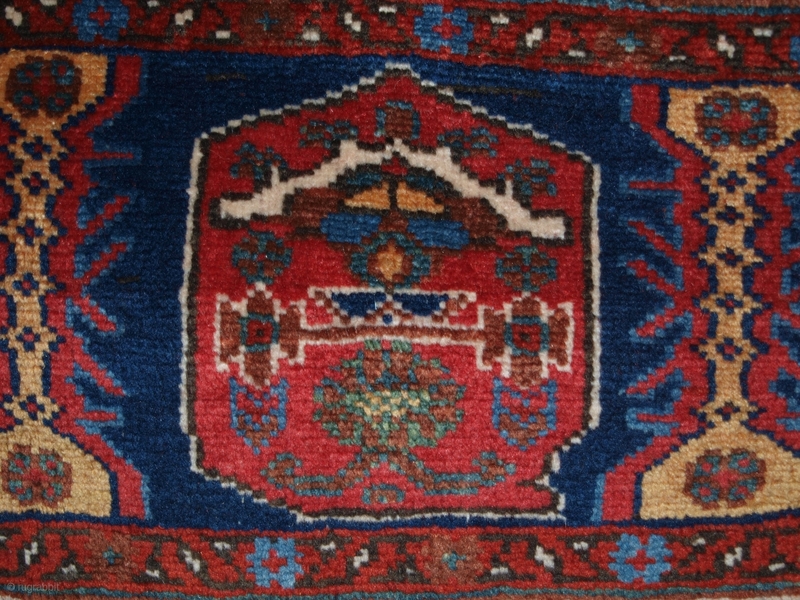 note the classic Afshar diagonal stripe border. 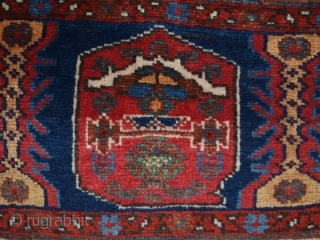 The panel is in excellent condition with slight even wear and good pile, the panel retains a short kilim strip at the top end. The panel has been hand washed and is ready for display. Stock Number: h-063.